Nutrition and exercise are the KEYS to most of our health and "disease", nowhere is this more true than with the mostly man-made disease of Cancer. Eat well and exercise and you will have little risk of Cancer. "In group 3 which consisted of raw food and high vitamin C a very satisfying 35-times decrease in cancerous lesions was achieved. The incidence of severe cancerous lesions in these experiments was caused to vary over a 70-fold range by nutritional measures alone." Doctor A.B. Robinson PhD, Linus Pauling Institute, Note WHAT you eat and do not eat can decrease your risk of each of your cells becoming cancerous by at LEAST 70 times. Should you fail to prevent Cancer; mainly by failing to EAT in a healthy manner; you can successfully CURE your cancer IMO. Your Cancer cure consists mainly of EATING in a Healthy Manner. Does Chemo Help Treat YOUR Cancer? NO! Big Pharma has LOST the Drug War on Cancer. YOU can PREVENT/Cure YOUR Cancer. This good Doctor talks of cancer being a holistic disease; he is saying cancer is a Lifestyle Disease. What you eat and do not eat; do and do not do; think and do not think all affect your Cancer Risk as well as the risk of ALL Disease in your body. "When Europeans first encountered the Inuit peoples of North America and Greenland they noticed no apparent cancer among them. Many other hunter gathers were also known to be entirely free of cancer. The introduction of cheap processed polyunsaturated vegetable oils after WWI corresponds with the rise of cancer in this and other countries. Many clinical and other scientific studies confirm that polyunsaturated vegetable oils promote the growth of cancer." "Each Inuit Eskimo family was REQUIRED to store under the snow about 1000 pounds of seal blubber. This was required because many years there would be an almost total lack of hunting success during the lean periods and the Inuit family was forced to live off the seal blubber and ONLY seal blubber. for as much as four MONTHS." So there you have it folks. You cannot get a more pure Keto Diet than pure blubber. NO CANCER! Any Cancer that may have existed in an Inuit's body was completely wiped out by the seal blubber producing ketogenesis. A cancer Cure was NEVER needed in Inuit land! Cancer may have been banned by periodic seal blubber fasting. So folks not only can a Ketogenic Diet prevent cancer but a Ketogenesis Diet can, and IMO MUST be used to TREAT cancer. If you eat Keto and only Keto you chances of beating Cancer VASTLY improve IMO. "Preventing cancer requires a multifactorial approach." Life Extension Note yes but many of these factors will help prevent CVD and every other disease we MUST prevent. Why? Can you say the Rockefeller takeover much of our health care system and food production means in circa 1900 Rockefeller created a cancer creation machine? Yes you can. So why would you ALLOW them to TREAT THEIR disease? Notice the spike up since FORCED "vaccination" and GMO "foods" became common, IMO systemic corruption of our political-medical system is certainly killing us; cancer is just a MARKER. Please visit the Cancer Treatment Essentials before starting your cancer treatment. The above video gives us a very concise picture of the whole Cancer Treatment Scam. This 17 year Oncology Nurse discovered Cancer Patients Starving, with Destroyed Immune Systems She also discovered Nutrition Heals Cancer. Please take the time to view this neat video. Her joyous attitude, from now helping cancer patients as a consultant, is refreshing. You will learn a lot about the Chemo and Anti Nutrition Cancer Scams; I sure did. Once you digest and UNDERSTAND the first few hundred words of this protocol one thing should be starkly clear. 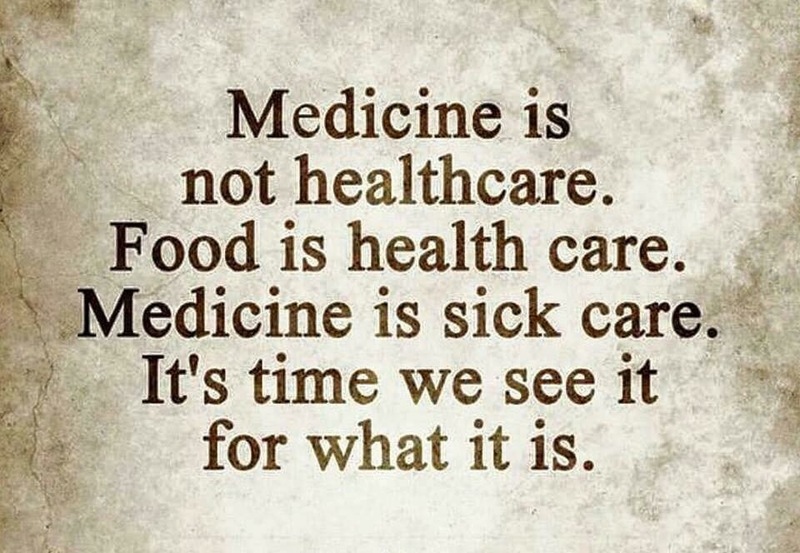 Food not Genetics; Food not some virus; Food not Medical Testing, Food not Cancer Treatment; Food not Medical Treatment; Food not Pharmaceutical Drugs; Food not Chemotherapy; Food; Food; Food; is YOUR most important way to PREVENT and TREAT Cancer. Period! Cultures who eat native unprocessed food do not get cancer. Cancer is mostly a man made environmental "disease" and we are making much Cancer in our Industrial Food Processing Factories. Can you eat SOME processed food? IMO yes but NOT MUCH. We eat 25% of our calories as Industrial Sugar; make it 1% and you have a MUCH better chance of avoiding cancer mostly by PREVENTING cancer. By the way we start Cancer Treatment by EATING WELL. The starting point in Treating ANY Disease is to achieve 100% the PREVENTION State. "Cancer cells become cancerous not because they are the disease but because they are normal cells reacting to the causative factors of disease [lack of sufficient oxygen]. That is, cancer cells become cancer cells because they are normal cells that cannot live in any other way." Curing Cancer with Baking Soda: Note this will probably not make sense to you. Once you understand the true nature of Cancer it will. If you want to avoid cancer you will put in the work to make this a self evident fact. A brief word on cancer knowledge and your general health: I have presented rather voluminous protocols for cancer prevention and cancer treatment. My original intention was to make both MUCH briefer. But there are literally hundreds of things you can and should do to prevent cancer and to treat cancer. It turns out that EVERYTHING that prevents and treats cancer naturally is SALUBRIOUS and will aid your General Health as it helps to avoid and treat CVD and every other disease you can think of. So your investment of time in understanding cancer is going to help every other aspect of your health. EVERYTHING is connected. As an example of a Cancer Treatment Protocol for a specific cancer please see the Colon Cancer Protocol. You can devise a similar protocol for your specific cancer. I can give you some help. “Increasing awareness of the association between nutrition and malignant disease will one day bring sanity to the field of medicine. Diet is important not just for reducing risk of cancer but in helping people recover from it. The relationship between nutrition and cancer is an area of great concern to the integrative oncologist but unfortunately these kinds of doctors are a rare species.” Nutrition, Malignant Disease & Cancer Note FOOD is the prime Cancer Prevention agent and FOOD is the prime Cancer Treatment agent. Doctor Mitchell Gaynor Integrative Oncologist on Epigenetics and Cancer. Watch this to see why this good man was murdered. Did BIG Cancer INC want it known that food can prevent and TREAT cancer? NO! We KNOW, or you soon will know, the Prime Cause of Cancer is a LACK of OXYGEN delivered into the cell. If you are concerned, even fearful of the easy to PREVENT Cancer, do as I do and work as many of the Adaptogens as you are able into your life. If you are concerned, even fearful of the easy to PREVENT Cancer, do as I do and work as many of the Adaptogens as you are able into your life. Beyond this important health cancer prevention function adaptogens provide so MANY BENEFITS, you MUST IMO get to know the Adaptogens very well. “The personalized approach is to identify the circulating the Circulating Tumor Cells, (CTCs) and Cancer Stem Cells (CSCs) to see what natural and chemical substances they are most sensitive to. What happens in the lab is quite interesting: The cancer cells and the cancer stem cells are harvested from the patients’ blood and grown in petri dishes and then 1 dose of various pharmaceutical and natural substances are introduced. After 48 hours they measure how effective each substances affected the die off of the cancer cells. For example, The Greece Test checks 49 chemo drugs and 50 natural biologic substances such as enzymes, Poly MVA, Vitamin D3, fermented soy extract, mistletoe, SOD, burdock complex, B 17, etc.” Targeted Approach for Your [Cancer] Healing Journey Note if you have some bucks you may want to look into this. AFTER you have discovered most of these Natural herbs and supplements yourself. If this works, I do not know, it MAY offer a more targeted approach to using NATURAL substances to fight cancer. "Scientists Discover Coconut Oil Exterminates 93 Percent Of colon cancer Cells In Two Days"
"64 out of 79 oncologists confidentially polled stated they would not take chemo or radiation if they contracted most types of cancer." The above quotes are a good summary of your "Cancer Treatment" problem. I will give you hundreds of examples below but if you just concentrate on these until you come to see they are likely true you will be light years ahead of the poor souls who enter the Rockefeller death machine of "FDA Approved Cancer Treatment". It is hard to believe I know; for the longest time I myself would not accept it, even as the evidence piled up before me. Please be a little quicker than me. Land of the free home of the brave, right. They know folks, they know. "Actress Suzanne Somers claims chemotherapy killed actor Patrick Swayze. she blames Swayze's course of treatment -- and not his disease -- for taking the "Dirty Dancing" star's life. They took this beautiful man and they basically put poison in him, Why couldn't they have built him up nutritionally and gotten rid of the toxins in his body? I hate to be this controversial, I'm a singer-dancer-comedienne. But we have an epidemic going on, and I have to say it." Note GOOD for you Suzanne we need MANY more to speak up! “Will Suzanne Somers’ New Book “Knockout” on Alternative Cancer Therapies Start the Cancer Revolt?...” asks Larry King." Here is a woman UNTRAINED in Industrial Medicine who has discovered the Cancer Secret. "Nobel prize winner Doctor Otto Warburg demonstrated over 50 years ago the basic difference between normal cells and cancer cells. Both derive energy from glucose, but the normal cell requires oxygen to combine with the glucose, while cancer cells break down glucose without oxygen, yielding only 1/15 the energy per glucose molecule that a normal cell produces. This is why cancer cells have such a huge appetite for sugar, and also why people who consume excessive quantities of sugar tend to get cancer more often." "Warburg said that glucose brings a cell’s ability to use oxygen to a standstill. So if you flood your cells with glucose, your cells won’t get the oxygen they need to function correctly. That will begin fermentation, which leads to cancer. This is why I repeatedly call for you to avoid all refined foods. That’s the best way to stop the flood of glucose into your cells." Doctor Robert Rowen MD Note also avoid sugar! Note get your vitamin D up to 60 ng/ml; not hard with good sunshine and vitamin D3 supplements, and you will reduce your Colon Cancer risk by over 75%. This graph roughly holds for vitamin D serum levels and MANY DISEASES. The Dirty Secret of "Cancer"
Cancer is primarily a political "disease". Simple information and FOOD can prevent and cure cancer. Period. The Dirty Secret of "Chemo"
Chemo works for very few cases of cancer; primarily four specific cancers originating in the bones. Usually chemo just helps to kill you much faster than the cancer it is supposed to be treating. "Conventional academic medicine is the last religion left in America, so the way you have to look at medicine is not as a scientific profession, but rather a religious profession... It has its irrational beliefs. It has its own special language. It has its tools, it has its rituals. ... The fact that they don't make us better is ignored. Landon died, Patrick Swayze died, Linda McCartney died; I could list 20 celebrities who are dead because they went the conventional route. Why didn't they do my therapy? Because I don't have a temple; I don't even own a white coat... Michael Landon picked that up right away. In fact, his press agent, Harry Flynn, wanted him to come and see me... [But] one of Landon's comments about me was that I "wasn't fancy enough." So he went to the priesthood. He went to Cedars-Sinai." Doctor Nicholas Gonzalez Cancer Specialist with Excellent RESULTS, patients often do not die. Doctor Gonzalez is a protégé of doctor William Kelley. Chemo is a terrible drug which does infinitely more harm than good. There a few cancers (Hodgkin's Disease, Leukemia, Lymphoma, Multiple Myeloma) and possibly others which originate in the bone morrow, for which chemo may work, make sure you have one of these before being FORCED on chemo. Chemo is a one hundred BILLION dollar/year Industry. Oncologists are allowed to get a kick back from Big Pharma for chemo drugs prescriptions they write for their cancer patients. No other doctor is allowed to get kick backs from their prescriptions. This is one BIG reason why so much chemo is used and needlessly harms and kills the poor cancer patient. The biggest reason you probably do not want to know. Don't be a Cancer Patient. LEARN to Treat Yourself, WHY? Because YOU can do a much better job than a "doctor" who does not know or has to pretend not to know, the cause of Cancer. Amish girl bails on chemo, recovers on natural therapy . “This antitumoral effect [bromelain] was superior to that of 5-FU [5-fluorouracil], whose survival index was approximately 263 %, relative to the untreated control. [view entire study] What is so remarkable about this research is that 5-FU has been used as a cancer treatment for 40 years, and has been relatively unsuccessful due to its less than perfect selectivity at killing cancer, often killing and/or irreversibly damaging healthy cells and tissue, as well.” Research: Pineapple Enzyme Superior to Chemotherapy in Treating Cancer, Note ALL chemotherapy is non-selective, all chemotherapy is cytotoxic, all chemotherapy is outrageously expensive and is toxic to your body mind and soul. The perfect depopulation weapon. Chemo a tragic mistake for hundreds of MILLIONS of poor frightened souls. I wonder how many would "choose" chemo if they knew the exceedingly poor performance of "chemo"? For every 50 people who "choose" chemo 49 will not be helped with their cancer and are at GRAVE risk of dying either from the chemo, the cancer or a destroyed immune system. One person in 50 MAY be helped by the chemo. EVERYONE taking Chemo is HARMED. I say may because we often do not know if something else helped them. I say "choose" because in real life the poor frightened scared to death cancer patient does not CHOOSE anything. They listen to CANCER AUTHORITY. This cancer authority has sold out cancer patients by the hundreds of millions. Contrast this tragedy of Chemo with the results of those who choose natural salubrious cancer fighting substances such as vitamins. "Conventional treatments for cancer are failing so miserably that, in just one year (1996), MORE Americans died of cancer than the number of U.S. soldiers who died in all of World War II, the Korean War, and the entire Vietnam War combined !" "75% of the average oncologists take home pay is profit from the chemo drugs he gives his patients. Cancer therapies are built on myth, and lies." Doctor William Douglass MD, Note cancer doctors are the ONLY doctors who are allowed to profit from the toxic meds they sell their patients on. Strange no? Gee doc do I need 5 courses or more of the toxins? Well Sir lets see how my boat payments come out. Cancer therapies are built on myth, lies and PROFITS. “On July 25, 2001, the Hungarian National Institute of Pharmacy (OGYI), the Hungarian equivalent of the Food and Drug Administration (FDA) in the United States, approved Cat’s Claw as a paramedicament (OTC - over the counter) pharmaceutical preparation. Hungarian authorities state, that "Cat’s Claw is approved for use as a sole or adjunct therapy for cancer." “The results this June bowled over long-term medical researchers. Women who took 1000 IU of vitamin D3 daily had 60 per cent less breast, lung and colon cancer at the end of the trial than women who took the dummy pill. And when she dropped the cases discovered in the first year, assuming those cancers had been present but unnoticed when the trial began, the reduction in cancer in her vitamin D group was an astonishing 77 per cent.” American Journal of Clinical Nutrition 2007 Note an hour of SUNSHINE or 7,000 IU of Vitamin D3, which is the minimum most women need, COULD help virtually ELIMINATE <10% Breast Cancer. So why do women not KNOW this? Tell them! “According to John Gofman, MD, PhD, there is strong evidence that HALF of all cancer deaths, and 60 percent of the death rate from ischemic heart disease are induced by ionizing radiation treatments." "SV-40 is the genetic glue which permits different DNAs to recombine to produce mutations and anomalies, and which allows toxic substances to penetrate cells more readily. Human blood specimens preserved frozen for 25 years have been found contaminated with this virus. More importantly, wherever SV-40 goes, so goes HIV and other green monkey viruses. The question is, how did these viruses find their way into humans so quickly and uniformly? Dr. Snead found the answer in 1987, and the Baylor study did so in 1999. According to sources cited by Dr. Snead, cells from the African green monkey have been used since 1953 as a growth medium for the polio vaccine.” Cancer, Aids, and Vaccinations, Note the proven cancer causing SV-40 virus is now in 100 million people and climbing thanks to our wonderful "Polio Vaccine"
“When commercial, processed American food arrived in Africa, Dr Albert Schweitzer, that famous humanitarian, noted soon afterwards that the food had brought with it something new, something hardly seen before in that land, something very devastating: Cancer. Dr Schweitzer, in his journal, proclaimed one very powerful cause. He wrote: "It's the sugar." "I was astonished to find no cases of cancer. I saw NONE among the natives 200 miles from the coast. This absence of cancer seems to be due to the difference in the nutrition of the natives as compared to the Europeans." Doctor Albert Schweitzer 1913, Note Schweitzer later said "It is the sugar." "The NAZI occupation of Holland seemed to send cancer plummeting. After the war the cancer rates went up again. Those who lived through the occupation survived on corn and rye bread - white bread disappeared from the market. Sugar, tea and coffee were not available. There was no margarine and alcohol production slowed to a trickle. Meat and dairy products were rare treats." Doctor Wim Romijn, Note many of the "prosperous" items not available we know are anti-health if not pro-cancer. The Rye bread may be the kicker. Rye is rich in vitamin B17. This demonstrates that a primitive diet can be far healthier than a "prosperous" diet. "Everyone, by middle or old age, is riddled with cancer and precancerous cells. We found cancer cells in autopsy studies of people who died of other causes, with no idea that they had cancer cells or precancerous cells. They did not have large tumors or symptoms of cancer. The really interesting question, is not so much why do we get cancer as why don't we get cancer.” Doctor Thea Tisty, PhD, Note if you do not get Vitamin B17 and you live long enough you probably will "get cancer"
“No studies have been done to evaluate for the potential to cause carcinogenicity or genotoxicity.” Statement in the package insert of all vaccines even so called anti-cancer vaccines, no testing has been done for cancer or gene altering; so they are telling you their "anti-cancer" vaccine could very well give you cancer, perhaps several types of cancer . Folks this makes NO sense UNLESS they KNOW their vaccines, ALL vaccines help give you cancer. When Europeans first encountered the Inuit peoples of North America and Greenland they noticed no apparent cancer among them. Doctor George B. Leavitt a physician who worked with the Inuit searched for cancer among them from 1885 to 1907. His office saw 100,000s of Inuit over this period. They did not find a single case of cancer among the Inuit who lived completely apart from modern ways. Many other hunter gather societies were also known to be entirely free of cancer. The medical literature of the 19th and early 20th century’s swarms with references to this commonly observed epidemiological FACT. Why has this widely observed fact that MANY primitive peoples were entirely cancer free been conveniently forgotten? Folks we are being had; cancer is as avoidable as understanding why these primitive cultures NEVER GOT CANCER. IMO modern cancer is just another population control method. This in no way condemns the thousands of caring honest people working in the cancer field. The problem is right up at the Rockefeller controlled HHS top. Still it would not hurt for some oncologists to speak up. I am sure many have. As you will have noted if you read the research paragraphs above there are literally hundreds of things you can do to improve the odds of NEVER HAVING CANCER PROBLEMS. It may at first seem overwhelming to imagine including all these salubrious habits, foods and supplements in your life. Just take it one simple step at a time. Start anywhere you wish, say diet; you intuitively know a bad diet is bad for your health but as you read the research and view a bad diet's ties to hundreds of KNOWN health problems your resolve to improve your diet will be strengthened. A good diet will tie in hundreds of steps which logically follow your strengthening decision to eat for both you and your body. Since our chance of dying from cancer is great the web of actions required to avoid it is also great. The good part is in avoiding cancer you will also be avoiding MANY other potential health problems in large part; when you address these problems individually you will find much of the work you must do to avoid these problems has already been done. "Back in 1983, a group of researchers began a human study to examine the effects of selenium-enriched yeast on skin cancer. The researchers found that subjects supplementing with this yeast-based selenium had an approximately 46%-63% reduction in the risk of colorectal, lung, and prostate cancers, with a 50% reduction in the risk of mortality for all cancers. The results were later published in the Journal of the American Medical Association7 and made headline news stories around the world. This generated intense interest in the scientific community in the protective power of selenium. ... and reductions of 58%, 63%, and 46% in the risks for developing colorectal, prostate, and lung cancers, respectively." Selenium and Cancer Prevention Note WOW! "Selenium may reduce the risk of certain cancers. Some scientific evidence suggests that consumption of selenium may reduce the risk of certain forms of cancer." FDA, Note yes folks the FDA Please don’t ignore this! Selenium appears to play a VERY important part in all cancer both in prevention and treatment. In a famous experiment on people with supposedly "fatal" cancer conditions a doctor gave some patients 900 mcg/day of selenium. Many of these patients were still alive four years later. He went on and found those with cancer did well on 1,000 - 2,000 mcg/day. Please remember Japanese fishermen often eat 800 mcg/day over a career of sixty years with NO ill effects. Exercise is proven to help solve your cancer problem. Exercise will help with each and every other thing you do to fight your cancer. "When President Ronald Reagan got cancer in 1985 during his presidency, the great German doctor Hans Nieper, M.D, treated him. It would have been front page news if it hadn’t been hushed up at the time. You’d think that a fever of 105 to 107 degrees Fahrenheit would be bad for cancer patients, right? Wrong! Surprisingly, cancer can’t take the heat. But your body’s healthy cells can handle a temporary fever just fine. Fever is one of the tools your immune system uses to kill disease. Reagan died at age 93, and not from cancer." German Cancer Breakthrough, Note treatment was done in Germany hey nothing but the best for kings and presidents! You go over to Germany and spend a comfortable afternoon in a doctors office, Get this the cancer cure is an OUTPATIENT TREATMENT. The doctor brings your body temperature up to 105 -107 F and in a few hours every cancer cell in your body is dead or dying. That's it. Sounds too good to be true but knowing the US Medical racket as I do, I'd say it's very possible. If I had cancer I would check it out. I got this information from Doctor Robert Rowen and Doctor Al Sears both known good guys and very KNOWLEDGABLE good guys. There are probably several proven ways to cure a well established cancer but since cancer is a population control tool they are not allowed to be accessed by you and I in the land of the free. You can get good cancer treatment in the USA also BUT you must look HARD to find it and you must know what you are looking for. We do not recommend you treat cancer fully on your own. We also do not recommend you go to an oncologist who only knows cut, burn and poison. Cut burn and poison has proven IMO itself to be often be less effective than doing nothing as to outcomes and is often an extremely painful and disfiguring not to mention costly way to die. We do not recommend you become a "cancer patient". You cannot delegate the responsibility for your life; it is YOUR life. If you spend a few dozen, perhaps hundreds of hours you WILL UNDERSTAND CANCER; it is not that difficult, once you break the propaganda barrier. At its core all cancer is just the dangerous practices you have inadvertently built you life around. Identify those practices; eliminate them from your life; take a few restorative steps and YOUR cancer is GONE; never to return unless your dangerous practices return. Envita Natural Medical Centers is a good place IMO to start your search for medical help; but first YOU must understand what YOU need to do to defeat YOUR cancer. Since cancer is often a death sentence, as is life, why not devote a LOT of time to understanding the cancer basics, such as oxygen, basic pH, vitamin D, vitamin B17 and making the radical life style changes necessary to maximize your chances; such as not ingesting a single molecule of sugar, near sugar or simple carbs. There are a LOT of enzymes, foods and body processes that have a demonstrated anti-cancer component; why not maximize these in your body? Your immune system can often defeat cancer why not maximize its cancer destroying properties? IMO you do not need to learn the incomprehensible body of details of your cancer; you need to know its weaknesses, cancer has many dozen weaknesses, and maximize your attack on each and every cancer weakness. An oncologist with an open mind should be able to help you with this search. Be aware he may not be able to TREAT you this way; you need him to answer questions; you must treat yourself. This is the way the Rockefeller FDA, AMA cancer death game is played in the land of the free these days. Cut, burn and poison are the only approved methods of approved conventional cancer treatment mutilation masturbation. Both your oncologist and you have to play by these rules. But your oncologist can help you if you find the right one and ask the right questions. "Chemotherapy for malignancies too advanced for surgery, which accounts for 80% of all cancers is a scientific wasteland." Doctor Ulrich Abel, Note yes and more it FAILS 98% of the time. You cannot delegate the responsibility for your life; it is YOUR life. If you spend a few dozen, perhaps hundreds of hours you WILL UNDERSTAND CANCER; it is not that difficult, once you break the propaganda barrier. At its core all cancer is just the dangerous practices you have inadvertently built you life around. Identify those practices; eliminate them from your life; take a few restorative steps and YOUR CHANCE of cancer is GONE; never to return unless your dangerous practices return. Oncology's chemotherapy is toxic to every cell in your body as well as your immune system; chemo has a 97.9% record of abject deadly failure; 49 out of 50 times Chemo kills you or helps kill you by destroying your immune system and the rest of your body. Vitamin C, for example, helps every cell in your body except the cancer cells and is immunosalubrious. Vitamin C is a near perfect NATURAL "Chemo". So why does the Cancer Industry not use Vitamin C? Vitamin C is dirt cheap and can be used to PREVENT and TREAT MANY Diseases. This is LIFE for you but DEATH for Big Medicine INC. The way the Rockefeller run HHS has set up the rules of the cancer treatment game, NO natural food or substance has ever or can ever be used by Oncologists to treat cancer. Only toxic poisons can be used. Poisons that destroy your immune system; the only system that can defeat your cancer. All effective cancer cures are illegal for a doctor to use in the USA. Doctors can get around this by begging the FDA for a patients “experimental treatment”; if this permission is denied and the doctor proceeds he risks his license. As you will see in this protocol the most powerful anti-cancer elements are NATURAL, vitamins, minerals, foods, herbs, the sun and supplements. To use these powerful EFFECTIVE natural anti-cancer elements YOU MUST be in charge of your treatment.